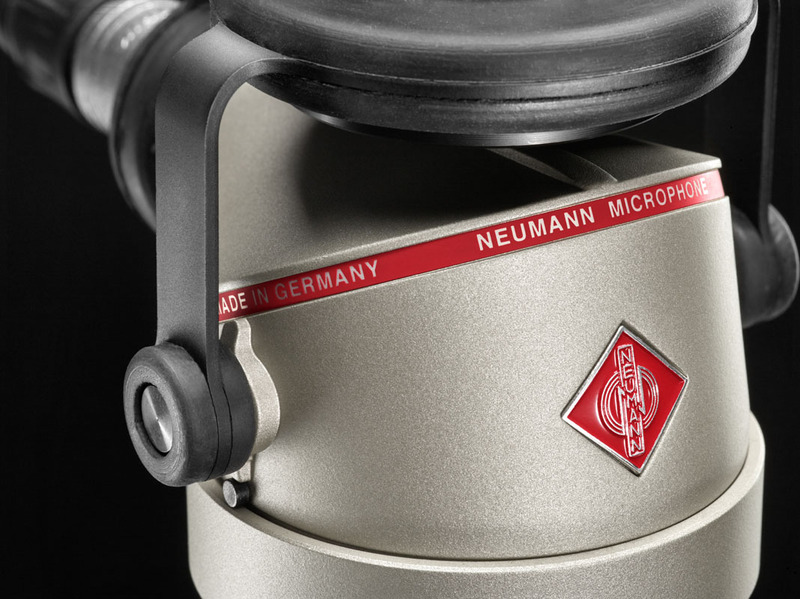 The BCM 104 is a dedicated broadcast microphone for radio announcers and DJs, designed to convey emotion with Neumann perfection. Its functionally optimized design features an integrated pop screen and a shock protected large diaphragm condenser capsule, specially developed for speech. Transformerless circuitry ensures a direct, noise-free sound. Broadcast is a much more immediate way to reach the listeners than studio recording. 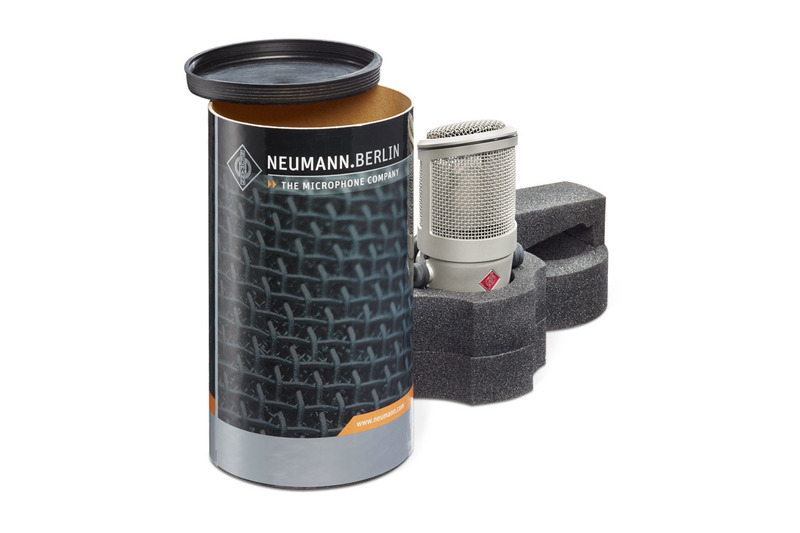 That’s why Neumann decided to develop a microphone that specifically addresses the needs and working conditions of radio DJs, announcers, newscasters, talk show hosts, and all those who guide us through the day with their stories, good vibes, and the latest information. The BCM 104 is designed to convey emotion with perfection. 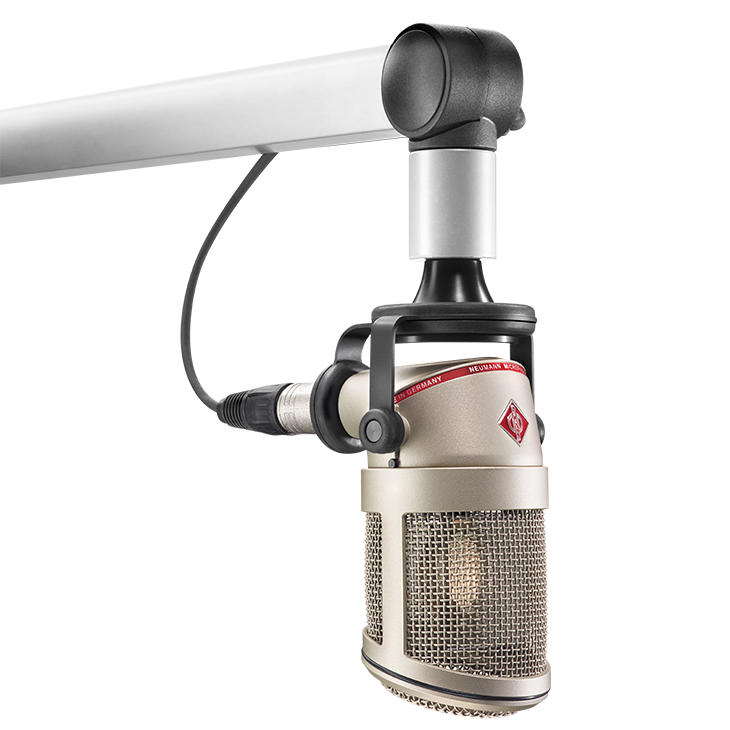 Its characteristic shape is functionally optimized for use with industry standard microphone boom arms. Thanks to its elastic mount, the BCM 104 is well protected against structure borne noise. An integrated pop screen behind the headgrille protects the capsule from air blasts and plosives. For increased hygiene, the headgrille twists off easily for quick cleaning. 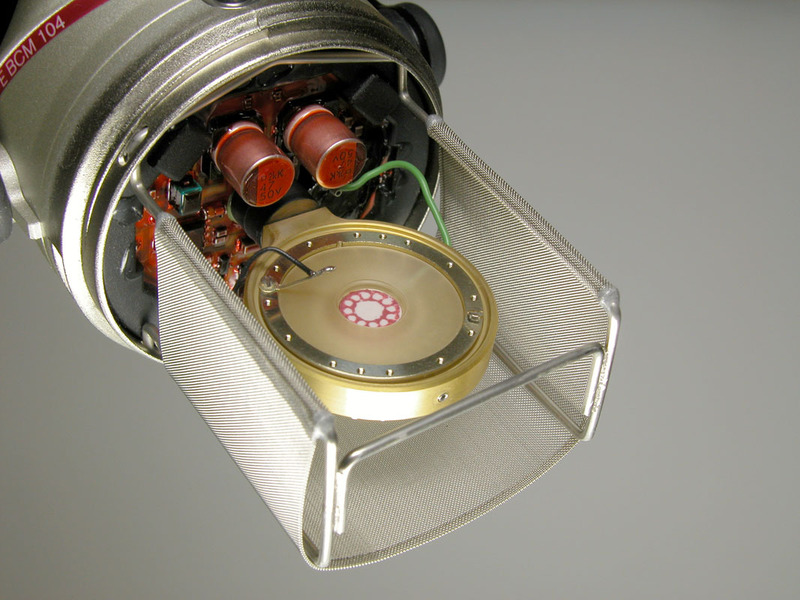 The large diaphragm condenser capsule of the BCM 104 captures each nuance of your voice without coloration or unwanted artifacts. The BCM 104’s electronic circuit has an extremely low self-noise of only 7 dB-A and can handle enormous sound pressure levels of up to 138 dB without distortion. Its balanced output operates transformerless to ensure minimal hum interference and high common mode rejection against extraneous signals e.g. from computer screens. A subsonic filter suppresses frequencies below 20 Hz. For close speech operation, an optional 100 Hz low cut is available to compensate for the proximity effect. A second switch activates a –14 dB preattenuation to reduce the BCM 104’s output level for use with equipment designed for dynamic microphones (which typically have a much lower sensitivity than condenser microphones). Both switches are hidden inside the microphone as the low cut and preattenuation options are usually selected only once, at setup. 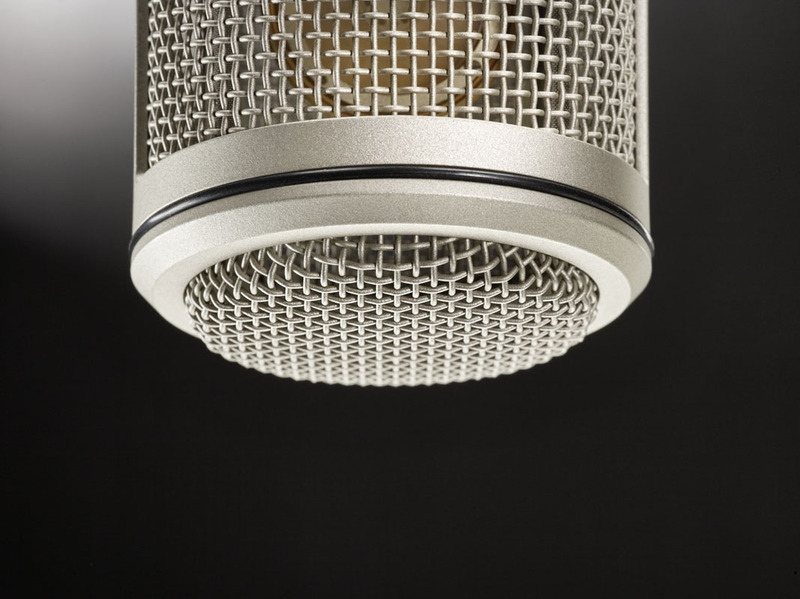 The BCM 104 has a fixed cardioid pattern with excellent rejection of rearward sound. Its frequency response is very linear with a gentle presence boost around 4 kHz and a slight treble lift above 10 kHz for enhanced speech intelligibility. Due to its outstanding transient response, the BCM 104 captures each nuance of the human voice with stunning detail. Because of its wide frequency response, the BCM 104 can be used for much more than speech applications, e.g. sung vocals and a wide variety of instruments. 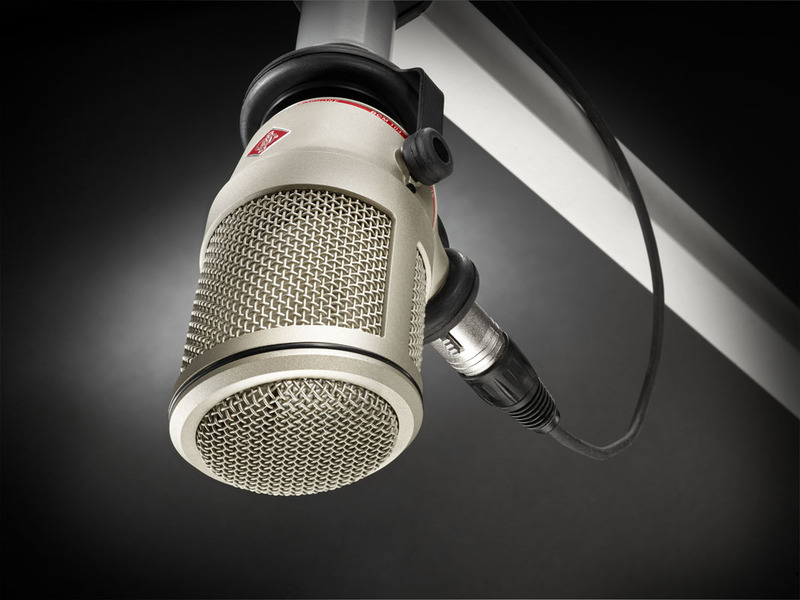 "... since the quality of the BCM 104 is optimal for broadcast speaking applications. This applies not only to the sound characteristics, but also to the overall handling features, with the replaceable headgrille, pop protection and hidden switches for the preattenuation and high-pass filter." 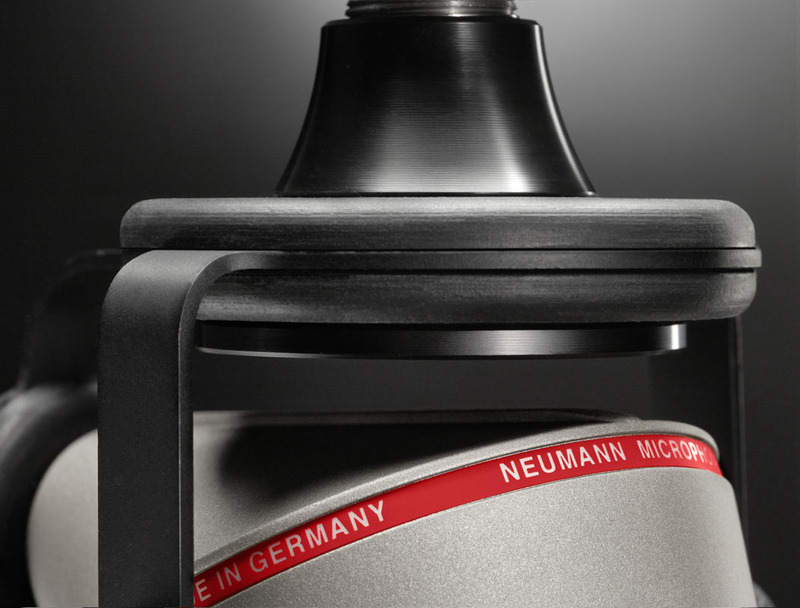 "There´s no doubt that the Neumann BCM 104 made a big impression - as you would expect from a very well engineered package - the built-in mount is a really great idea - and the sound is very, very good." "In addition to looking the part of a 21st-century mic, the BCM´s impressive specs and sound should please any discerning audio pro."